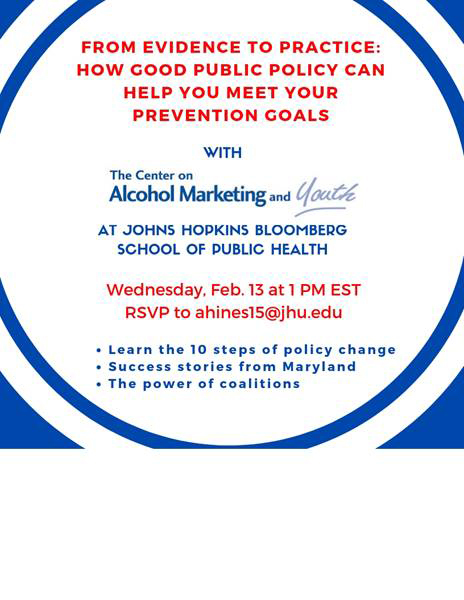 “From Evidence to Practice: How Good Public Policy Can Help You Meet Your Prevention Goals,” on Wednesday, February 13 1 - 2pm EST. More information in the flyer below! If the security settings in your browser prevent you from registering through this link, please email ahines15@jhu.edu directly to register.